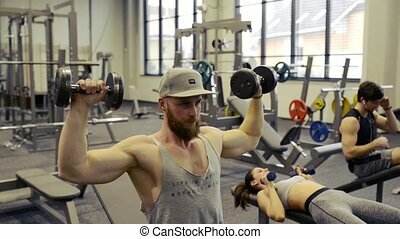 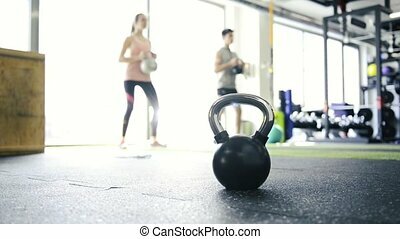 Young fit couple in gym exercising with kettlebells. 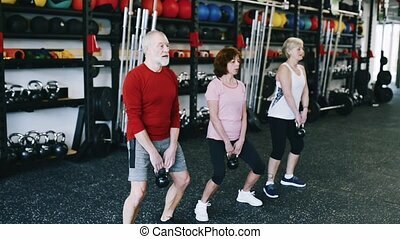 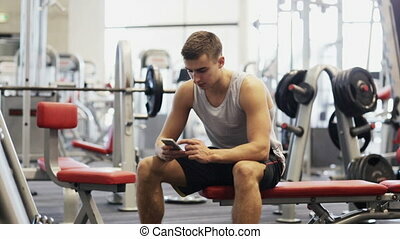 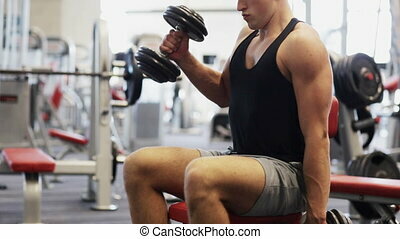 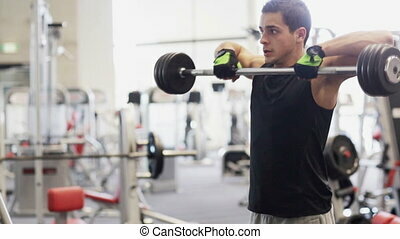 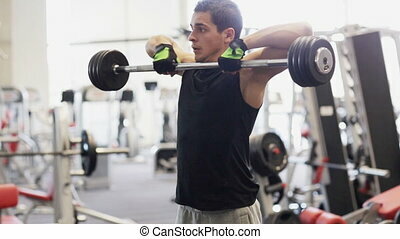 Beautiful young fit couple in modern gym exercising, doing squats with kettlebells. 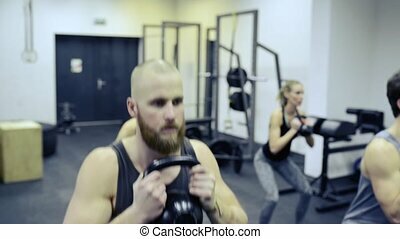 Young Fit Couple In Gym Exercising With Kettlebells. 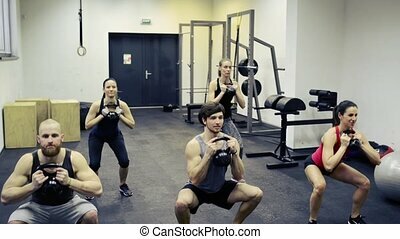 Beautiful young fit couple in modern gym exercising, doing squats with kettlebells. 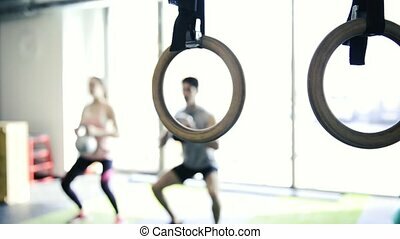 Gymnastic rings hanging from the ceiling. 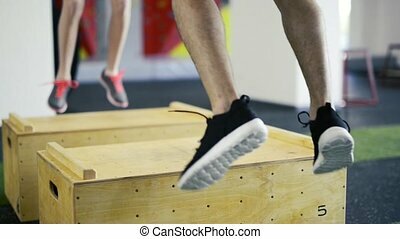 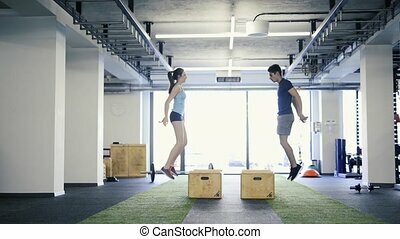 Beautiful young fit couple in modern crossfit gym doing strength training, exercising core muscles in plank position. 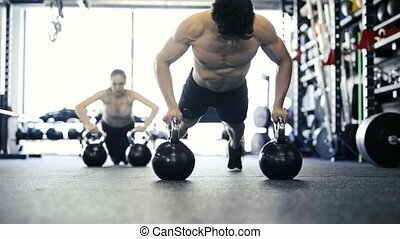 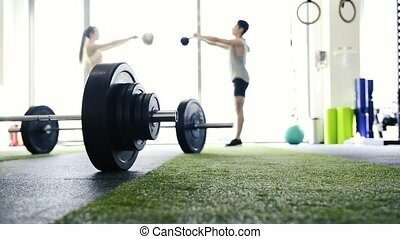 Beautiful young couple in crossfit gym exercising arms, lifting kettlebells.